360 lace wigs have recently taken the world of hairstyling by storm and they have made many a stunning red carpet appearances too! what a 360 lace wig is? 360 lace wig is pre-sewed with 360 lace frontal and bundles,With different density wefts at crown. in fact, an upgrade to a standard lace front wig because not only does it have lace at the front but all around the head as well. What this means is that no matter what way you flip or style your hair, they will always look natural. Now you can rock a wig to any occasion without the fear of an exposed fake hairline, thanks to the innovation that is a 360 lace wig. This is one exclusive feature of a 360 lace wig that makes it stand out from its traditional counterparts. 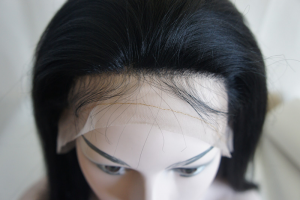 1.The fact that a 360 lace wig has a lace front and back ensures that your hairline looks completely natural. 2.most 360 lace wigs human hair come with some pre-plucked “baby hair” at the front, to create a more natural hairline. 3.With the same hair density, 360 lace wig is more affordable than the lace front wig. 4.a 360 lace wig human hair can be styled in a bun or a high ponytail. 360 lace wigs human hair have a lace panel at the back as well, here are some of the most striking advantages of the same.because it provides a natural hairline at the nape of the neck as well. To make the hairline at the back look more natural.This makes it incredibly easy to style the hair, simply secure the wig in place. 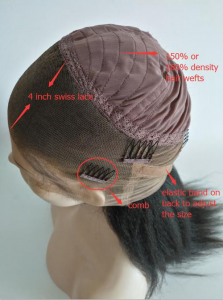 Furthermore, the sheerness of the lace provides the freedom of freestyle parting in the front 4inch wide, you can wear your hair in a side parting or a center one without the cap of the wig getting exposed. Feel free to brush your fingers through your hair throughout the day without the fear of revealing your secret to the world. The lace ensures that no ugly edge is ever exposed, no matter how windy it gets. 360 lace wigs human hair come with baby hair at the back too, so when you lift your hair into a bun, you are left with a natural finish at the back of your neck. This is a great benefit of 360 lace wigs, especially during the summer months when you want to keep your hair up to keep the sweat at bay. To summarize, 360 lace wigs human hair provide more comfort, more styling options, and more ease of use than most of the variants available in the market. So, if you want a natural finish and do not want to worry about a visible hairline all day long then take a cue from the celebrities and try out a 360 lace wig human hair today!